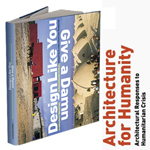 ALIAS, a supplement issue in the italian "Il Manfesto" talks about "DESIGN for the other 90%"
Architecture for Humanity, Design Like You Give a Damn is a compendium of innovative projects from around the world that demonstrate the power of design to improve lives. The Watercone® is discribed on page 285. See article. "Eine gute Idee - und schon klingelt es in der Kasse. So der Traum vieler Jungunternehmer. 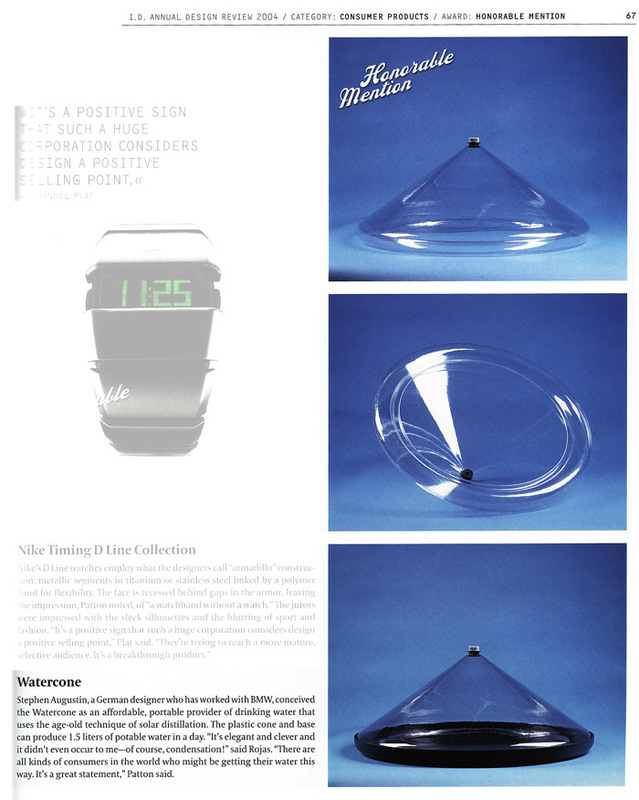 Doch hinter erfolgreichen Erfindungen und genialen Geschäftsmodellen liegt oft ein harter Weg"
" The best- yet solar water purifieris the Watercone, a solar still that uses the sun`` heat to evaporate water, which then condenses on the inside of the cone - flip the funnel-like cone over and you can pour the water right into a container. This cheap, rugged system can purify about 1,6quarts (1.5 liters) of water per day, not only killing all waterborne pathogens but also removing particulates, many chemicals, and heavy metals. Better yet, it can also desalinate seawater- an important function for the world`s sizable coastal populations. 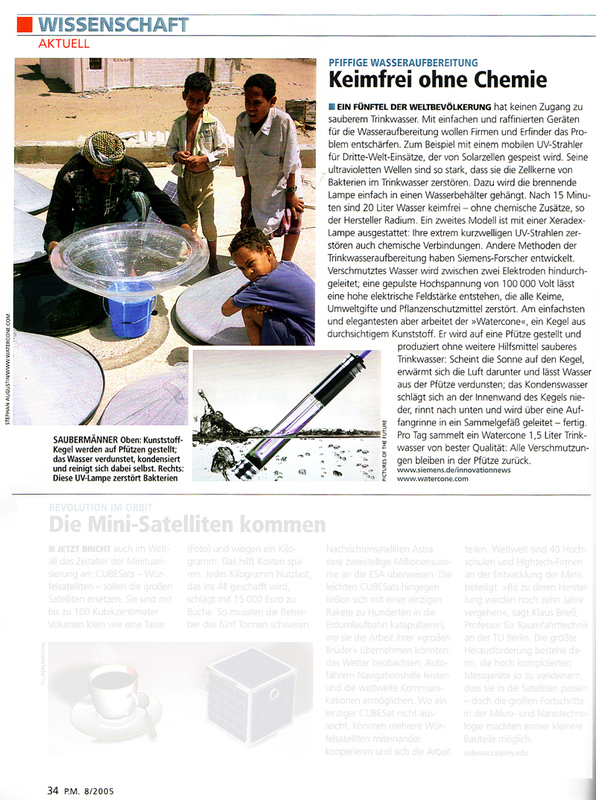 JJF"
PM Magazine Germany, Issue August, 2005, page 34. "Pfiffige Wasseraufbereitung. Keimfrei ohne Chemie"
Listen to interview MP3 13MB. "Thema Entwicklungshilfe. 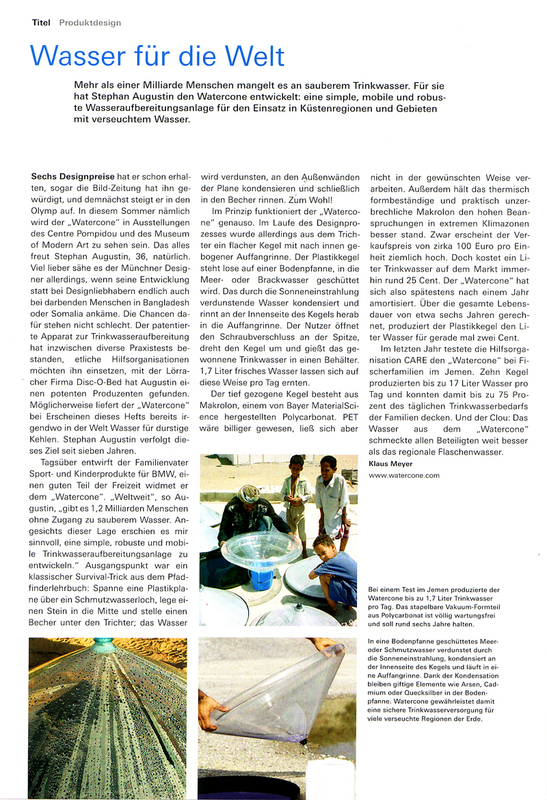 Wasser für die Welt"
"Zu schön für diese Welt"
MEED Middle East Economic Digest wrote about the Watercone® in its Vol48 No35 issue from 27 August 2004. 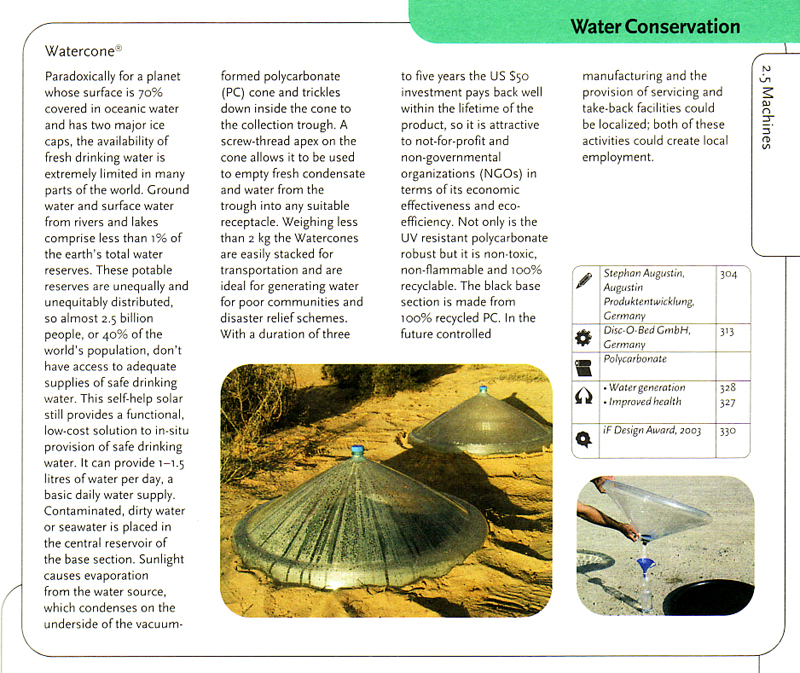 The Magazine contained a Special Report about Water and the Watercone® was featured in the chapter:"Desalination:Fresh Ideas" on page 33. 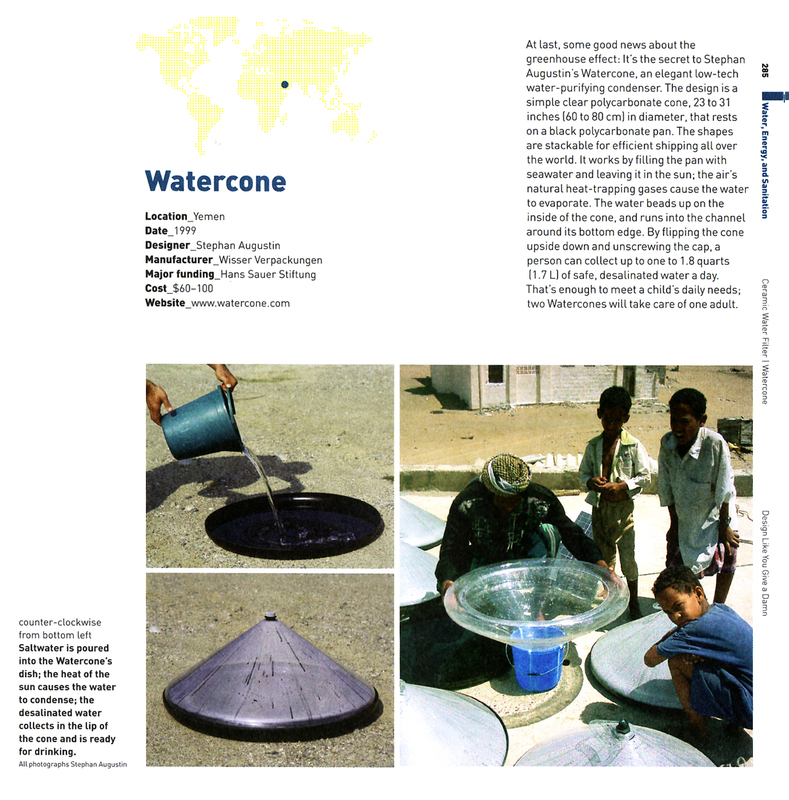 "Trinkwassererzeuger "Watercone": Ehrung bei höchster deutscher Design-Preisverleihung"
Berlin based school book company featured the Watercone in a geman science teaching book for children in the age of 10-12 years on pager 135. ID Magazine International Design Magazine, USA, will be published in I.D. ' 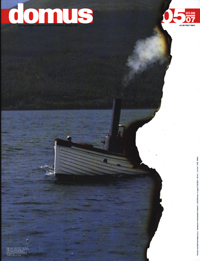 s August 2004 issue. Aid & Trade was an international fair for emergency products, held in January 28-29, 2004 in Geneva, Switzerland. 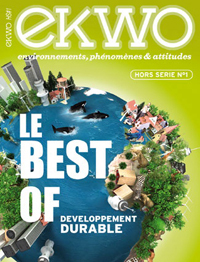 In the review catalogue Mr. Kronberger member at the European Parliament wrote an interesting article about the importance of desalination and the pioneering example of the Watercone®. 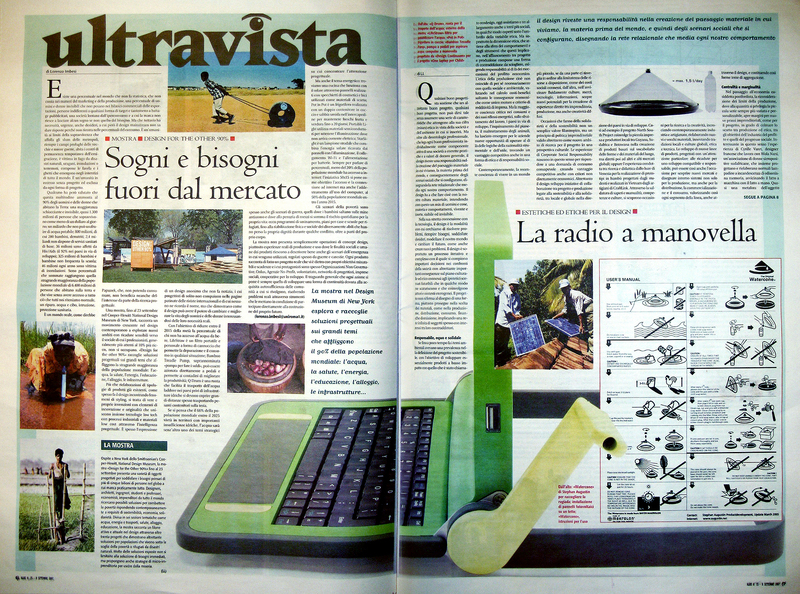 During the Aid and Trade Fair in Geneva (January 28-29 th 2004) the daily "Le Temps" reported about the fair but also about the new Watercone® beeing presented to the potential customers. 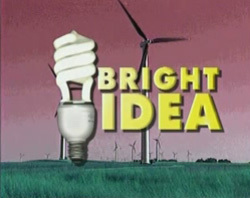 The private US TV-Station Planet Vox brought a report about the Watercone in fall 2003. 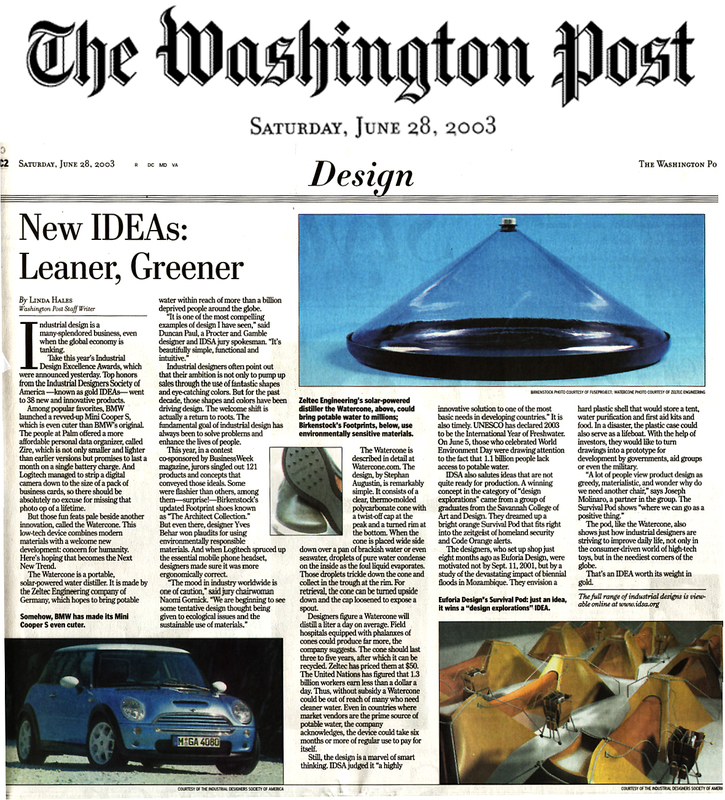 "...But those fun feats pale beside another innovation, called the Watercone...."
Sponsored by Businessweek the results of this years IDEA Design Award organized by the IDSA, one of the most important Design Competitions for Industrial Products in the world, where published in the 07 July issue and in the Internet. The Watercone® received the Gold Award in the Consumer Products category. 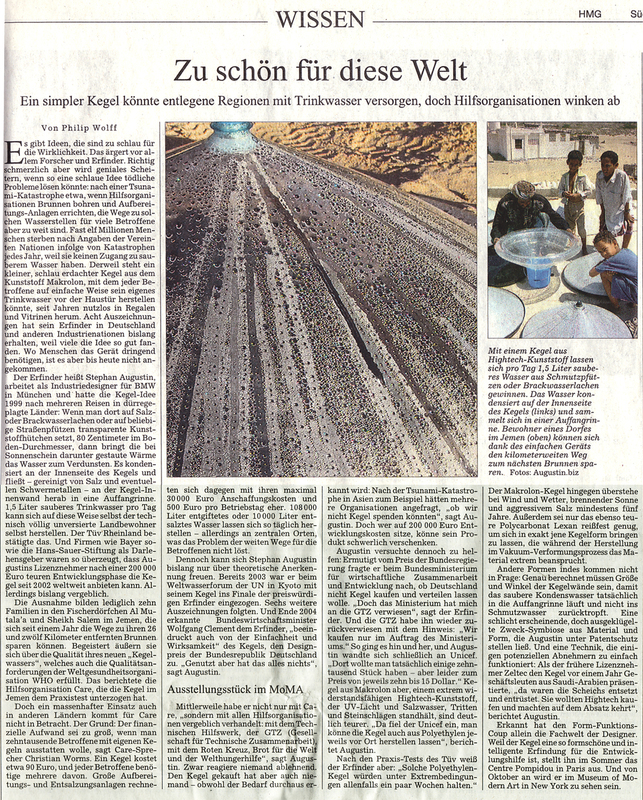 "Trinkwasser im Handumdrehen, Drinking Water in a Jiffy"
"Geniale Umwelttechnologie schafft frisches Trinkwasser- Von der Idee zur Realisierung"
"So hilft ein Muenchner im Irak"
"Solving the gloabal drinking water problem with the Watercone"
"Der Treibhauseffekt laesst Trinkwasser fliessen"
"Ein Wasserkegel gegen das Verdursten"
BMW Designer Implements Principle for the Generation of Drinking Water"